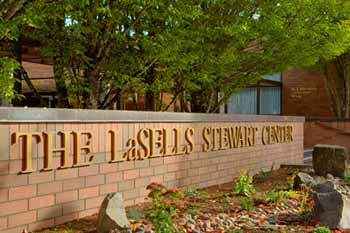 The LaSells Stewart Center • April 16, 2019 • 8 a.m. to 4:30 p.m.
University Relations and Marketing is proud to host the third annual OSU Brand Symposium on Tuesday, April 16 at The LaSells Stewart Center. National leaders will discuss topics such as trends in digital marketing, using marketing and communications to interrupt systems of oppression and leveraging thought leadership to gain visibility. New this year are afternoon breakout sessions that will spark creativity and provide opportunities for conversation in the areas of diversity and inclusion, recruitment marketing and best practices in branding from across the university. Also — don’t forget to enter your work in our DAM (Dam Awesome Marketing) Awards Program! Registration Fee: Registration to attend the Brand Symposium is $30 and includes lunch and light refreshments. OSU Faculty/Staff select the OSU Login and register with your ONID. Students can attend the OSU Brand Symposium for free; registration is not required for student attendees interested in hearing our keynote speakers. Pam Didner is a marketing consultant, author and speaker whose international book, “Global Content Marketing,” is the first to offer an accessible, comprehensive process to scale content across regions. During her tenure as a global integrated marketing strategist at Intel, she led enterprise product launches and worldwide marketing campaigns. Didner now leads a boutique consulting firm that trains, coaches and provides strategic guidance on audience development, messaging architecture, editorial planning, content creation and media outreach on a global scale. Her firm advises companies including Intel, 3M, Sunstar, Insitu and Cisco. She regularly shares her insights at pamdidner.com. Rusty Shelton first spoke at Harvard University on the changing world of public relations and marketing at the age of 23. He is founder and CEO of Zilker Media, publisher of ForbesBooks and co-author with Adam Witty of “Authority Marketing: How to Leverage 7 Pillars of Thought Leadership to Make Competition Irrelevant” and co-author with Barbara Cave Henricks of “Mastering the New Media Landscape: Embrace the Micromedia Mindset.” A frequent keynote speaker, Shelton’s commentary on the changing world of PR and marketing has been featured in Forbes, Inc. Magazine, Wharton, Huff Post and many other top media outlets. Learn more at rustyshelton.com. Susan Shaw is a professor of women, gender and sexuality studies and director of the School of Language, Culture and Society at Oregon State University. She holds an M.A. and Ph.D. from Southern Seminary in Louisville, Kentucky, and a B.A. in English from Berry College in Rome, Georgia. She is an ordained Baptist minister who makes her congregational home in the United Church of Christ. Prior to joining the Oregon State faculty in 1996, Shaw taught religion at two private liberal arts colleges. She is the former director of OSU’s Difference, Power and Discrimination (DPD) Program, and she has led numerous seminars at universities across the country on issues of power and privilege in academic disciplines. She is co-author with Janet Lee of two introductory women and gender studies textbooks, Women’s Voices, Feminist Visions: Classic and Contemporary Readings Sixth Edition, and Women Worldwide: Transnational Feminist Perspectives on Women. Shaw is also author of “God Speaks to Us, Too: Southern Baptist Women on Church, Home and Society” and “Reflective Faith: A Theological Toolbox for Women” and co-author with Mina Carson and Tisa Lewis of “Girls Rock! Fifty Years of Women Making Music.” Shaw is currently executive editor of a forthcoming four-volume encyclopedia, Women’s Lives Worldwide. Come learn from the University Marketing creative team about how the Oregon State brand system has evolved and changed over the last year. We will also be reviewing our DAM Award winners and why they are exemplars of the brand. Be sure to check out the inspiration table for creative ideas! We have all been charged with helping our units recruit more undergraduate students. Come hear from Admissions and University Marketing on how to implement strategies that help move prospects along the recruitment funnel. Register for the 3rd Annual OSU Brand Symposium being held on Tuesday, April 16, 2019. © 2019 3rd Annual OSU Brand Symposium, all rights reserved.